← Magical Monday Is Here – How Are You Attacking It? Did You Think That Was A Healthy Choice? So often we are tricked into believing something is healthy. By media, by advertising and by google. Especially google is interesting, because you may google one thing and have a look at one page and believe that is the right answer. But if you have a look at the second and third link, you may be surprised someone is telling you the complete opposite. It really is a jungle out there. What do we often eat and drink, thinking it’s the right choice? Smoothies And Freshly Squeezed Juices. How healthy and delicious isn’t it to stop by Boost Juice Bar on your way to work for a quick breakfast. Let’s say the Mango Passion, original size (because calling it original instead of large will trick you into buying the large size, without even knowing it), a whopping 610ml of juice. 378 calories, which is not bad if this is the only think you have for breakfast, but pretty bad if this is on top of your breakfast. But the crazy thing is the 73.2 grams of sugar you will get in one hit. That’s about 14 teaspoons of sugar. Yes, it is sugar from fruit, but it does still reacts the same way in your body (remember the whole insulin spike = fat storage?!). That’s a lot of sugar. Before your day has even started. And if you want a juice, such as the Energiser Juice, you will ‘only’ get 51.8 grams of sugar, abut 10.5 teaspoons in one hit. But it’s just a healthy juice, right? We’re always told juice is good for us. Is it? What do you think? 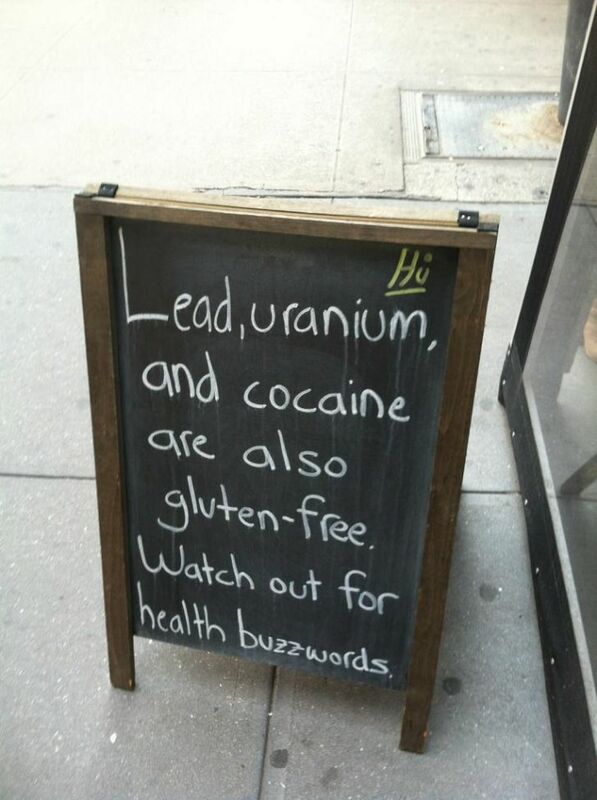 Gluten-Free Foods. Everything gluten-free is immediately super healthy, isn’t it? Because it’s gluten-free. If you don’t have celiac disease, where you can’t digest gluten properly, you actually don’t need the gluten-free products in the first place (yes, your stomach might be slightly happier with gluten-free either way). Very often though, gluten-free products are loaded with sugar. Because then the product will taste good and the consumer (that is you) will like it and buy it again, and whoever is making the product will be happy (and possibly rich – of course they will tell you it’s healthy so you will buy it). 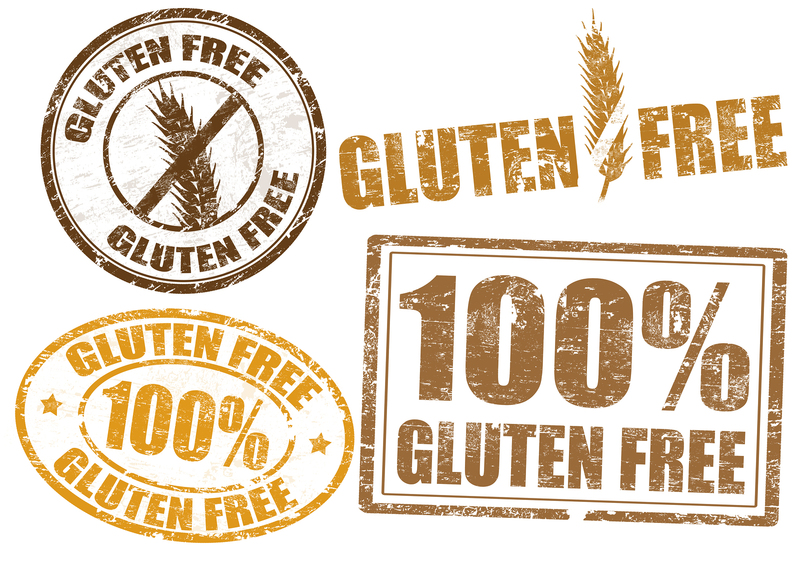 Gluten free has become a buzz word that automatically sell more products. Do yourself a favour and look at the ingredients before you buy. Is it really that healthy? Granola And Nut Bars. Nothing easier and healthier than having a nice, crunchy granola bar in your bag for emergencies is it? Or in the pantry for those afternoon cravings. And they are so good for you anyway, so they’re perfectly fine to eat, aren’t they? Of course they are healthy, why wouldn’t they be with chocolate bits and yoghurt topping and lots of dried fruits and berries (fake fruit possibly?) in the mix. And honey of course. And a little sugar, just to make sure it really is sweet enough. Some of these bars could actually just be moved to the confectionary isles, and be put right next to the Mars bars, because they are equally good for you. For instance a Kellogg’s K-time Muffin Bar has more than 3 teaspoons of sugar per serve and the Cadbury (they are a chocolate factory aren’t they – alarm bells should be ringing already here) Brunch Bars are 20% chocolate (see, bells are ringing loud and clear). They are loaded in sugar and fat (and not the natural, good fat). Sports Drinks. I’ll leave this open for your own interpretation, because you know exactly what I am going to say about them. If not, ask! Low Fat Peanut Butter. Why would you take perfectly ok fat out of a good product and replace it with sugar and then sell it as a healthier option? I just don’t get it. You’re actually a lot better off buying the ‘no added anything’ (and nothing taken out either) peanut butter, made out of peanuts (yes, and nothing else, that’s how you make it). You can also make your own at home, buy peanuts and put them in your blender (or similar kitchen machine) and whizz until the peanuts has turned into butter. You can add a little sea salt if you like. This will probably even taste better than your store-bought sugar added version that is sold as healthy. You can do the same with macadamia nuts, almonds, cashews, any nuts you like. Why not make a mix? I love knowing exactly what’s in the food I eat. Frozen Yoghurt (also known as Frogert). It’s super healthy, because it’s ice cream, but it’s not. Again, this is likely to be advertised as fat-free or low-fat. 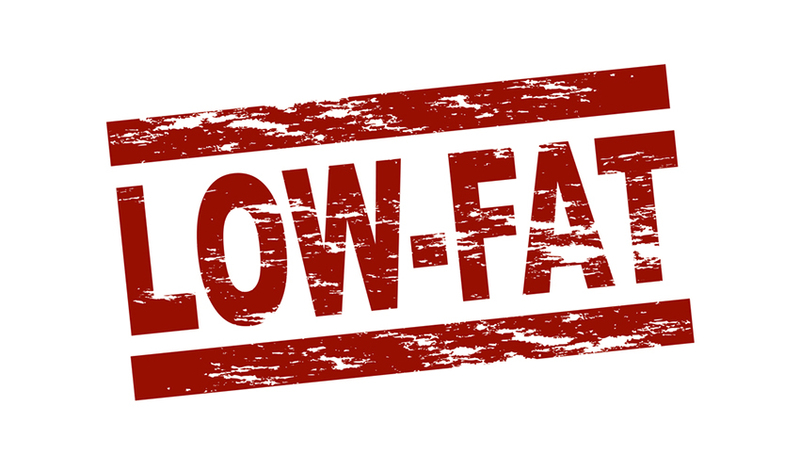 By now you should know that fat-free and low-fat both means a ‘lot of sugar added for flavour, so you will eat more and come back for more’, but putting that on the posters doesn’t really sell the products, so it’s just easier with fat-free. Because that sells. 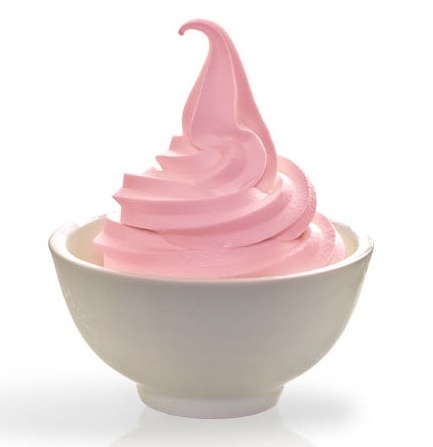 If you make my Two Ingredient Strawberry Soft Serve Ice Cream, you will probably eat about half as much and feel a lot more satisfied (because it’s full of fat, rather than sugar. And no, fat doesn’t make you fat). At Tutti Frutti Frozen Yoghurt, the sugar ranges from 14-25 grams of sugar per 100 grams, but I don’t know how big their serving sizes are. I am guessing a lot more than 100 grams per serve, because that’s not much. So you will get plenty of sugar, is all I am saying. But it’s fat-free, so it’s probably good for you. Don’t you think? I could keep going until tonight. Or possibly even tomorrow, but I will leave it there. Marketing, it’s such a powerful tool to make you believe anything and pay lots of money for something. Do you think the people behind the products are using healthy buzz words because they believe their products are healthy or because they want to make as much money as possible? I think they know better. I am not saying you should never ever have any of these or similar products. I just think we should all be able to make educated choices, based on education and not on marketing. If you choose to have a frozen yoghurt, that choice should not be made due to the fat-free buzz word, thinking it’s actually good for you. That choice should be made thinking this is my treat for this week/today (hey, I don’t know how often you treat yourself to sugary frozen yoghurt), I know it’s full of sugar, I know it’s not in particularly good for me, but I know a little bit won’t do any harm or kill me, so I am going to have some anyway. And enjoy it for what it is. Frozen tasty ice cream, made out of yoghurt. Therefore it has a fancy name, that sound a little better for you than ice cream. This entry was posted in Interesting Things About Food (Mostly) and tagged Buzzwords, Fat Free, Food, Freshly Squeezed Juice, Frozen Yoghurt, Gluten Free, gluten free products, Granola Bar, Healthy Choices, Healthy Lifestyle, Low Fat Peanut Butter, low fat products, Low-Fat, Marketing, Mars Bar, Peanu Butter, Smoothie. Bookmark the permalink. 8 Responses to Did You Think That Was A Healthy Choice? I have a diabetic husband, type one, insulin dependent since he was 5 (I have to point that out just so you know he didn’t put himself in that position through bad diet…). We spend ages in the supermarket looking at sugar content of things, and I have found the same as you! It is ridiculously hard to find a low sugar yogurt, especially in the ones that are “fat free”! and breakfast cereal, it is crazy how much sugar there is in even things like museli! As with everything, it is generally better to make your own things from fresh ingredients wherever possible but just occasionally it would be good to be able to find something that is not loaded with sugar! As you may be able to tell…this is a pet rant of mine too, thank you for blogging it…i will send links to all the people who give me funny looks when I try to tell them! Everyone asks me, “Did you lose a lot of weight when you went gluten-free?” My response is always, “Yes, forty pounds in two years, but processed foods were considered a treat. Plus it took my gut about a year to recover before I actually started losing weight.” That usually sends them looking for a different answer to their weight loss question. LOL, people are always looking for the secret or the magic pill to weigh loss. Keep looking I say or get real and do something about it today. Instead of still looking in a year and being even more unhealthy then! Good point that not all “healthy” things are actually healthy! Best to read labels and figure it out yourself versus trusting the front of the box.